Who are You Getting Your Tickets From? The man in the picture above was convicted of five misdemeanor counts of false representation in connection with a $50,000 Green Bay Packers ticket scam. 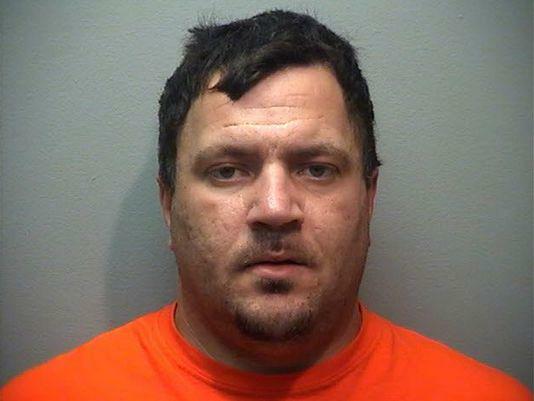 This individual promised at least 15 people tickets to various Packers games (including season tickets in some cases), falsely claiming he had connections with the Packers through a previous job and therefore had access to tickets. Suffice to say, the victims never made it inside Lambeau Field. Sadly, cases like this occur all too often in today’s society. With the ease of shopping for tickets online comes the danger of the scam. Therefore, when searching for tickets to an event the utmost care is necessary. This is where we come in. All tickets that are provided as part of a VIP Fan Experiences, LLC ticket and hotel package are guaranteed authentic and delivered in time for the event you pay to attend. We provide a detailed terms of service page on our website and make ourselves publicly available at all times. Our clients deal with real people and a real business that has something to lose if we do not fulfill your order. Sadly, the individual ticket seller on CraigsList or any other online Classified forum (or outside the stadium) does not have these same risks due to their ability to retain anonymity throughout the transaction. Should you insist on purchasing tickets via CraigsList you should only do so on the following terms: Ask the seller to meet you for a face to face transaction. Once there instruct the seller that you will only hand over the money if he or she will open his or her season ticket account and transfer the tickets to you electronically while you watch. The old myth that “hard” season tickets are safer than electronic tickets no longer holds true. Once a season ticket holder transfers tickets electronically the bar codes on the hard copies are no longer active. This means a scammer could transfer legitimate tickets to a buyer electronically (or keep them for him or herself) and hand over worthless hard copy tickets to an unsuspecting buyer. Don’t let this happen to you. VIP Fan Experiences acquires tickets from the teams themselves, our vast network of season ticket holders across the country that we have worked with in the past, or third parties that we have arrangements with to provide us tickets to sought after events. In most circumstances we deliver tickets electronically because we know they are authentic and therefore can represent to the buyer that the tickets are sure to be authentic. We cannot stress to you enough that the safest way to avoid a headache is to purchase tickets from a reputable company. With the NFL season fast approaching we simply want to make you aware of scams that are taking place in our industry, as we started this business to make your life easier. Should you have any questions at all we would be happy to help!